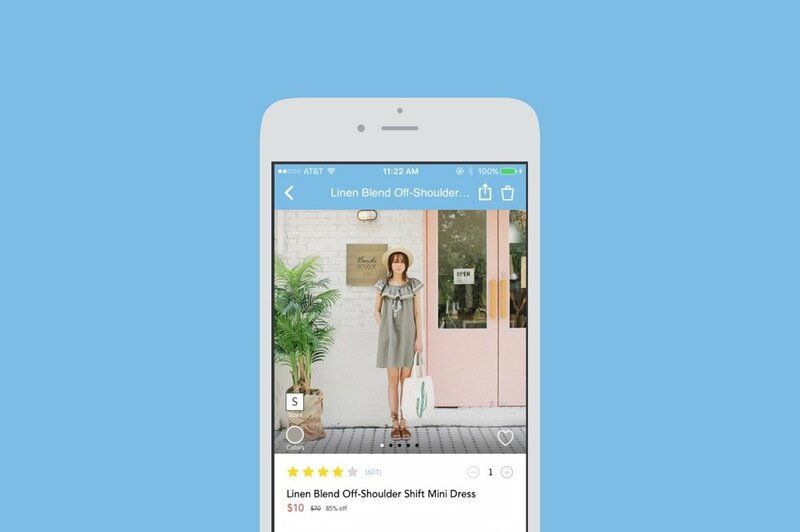 An eCommerce website and app aimed at providing trendy items at a low cost. The item description page is arguably the most important page in an eCommerce experience. If you want users to make a purchase, you need to help them see the things they care about immediately. I was able to present this redesign to the Wish team during a design critique. My goal was to redesign the product detail page in order to increase the app conversion rate. I observed several users as they used the app, while surveying another group on their experience with the app. None of these users had prior experience using Wish, and there was an equal balance between those who regularly shopped online and those who did not. The age group was between age 20-30, of both males and females. The results of my research informed me what my design focus should be. Most users felt the current page was too cluttered and confusing, specifically the item name and description, as well as the product photos (user uploaded photos were combined with the official product photos). Many felt the product photos being combined with the official photos made the page seem unprofessional. Many did not know where the sizing/color selections were, and were therefore reluctant to click ‘buy’. On more minor notes, most users really cared about seeing reviews/ratings, as well as seeing the cart count. I aimed to tackle the most important issues users had, then addressed other concerns as well. These are some rough sketches of how the product photos and color selections could be changed. Some rough sketches of the product description and details section. Alternatives for the 'Buy', share, and like/save buttons. This is the final mock-up that I presented to the team. The landing page for the item detail page, compared to the previous version. The size/color view and selection, compared to the previous version. The review and sizing section, compared to the previous version.